It is normal that in the production process there are a multitude of products, especially in the measuring industry, such as, in the case of the real estate branch, where for each change of dimension or color, a new end product is generated. However, it is a number of productive processes that are significantly less than the number of products or articles. Thus, through the reference, there is in GPAC provided, that we can parameterize these processes according to the intended product or service; we have not only a capacity to model the whole business, but we have been able to do so in useful time. 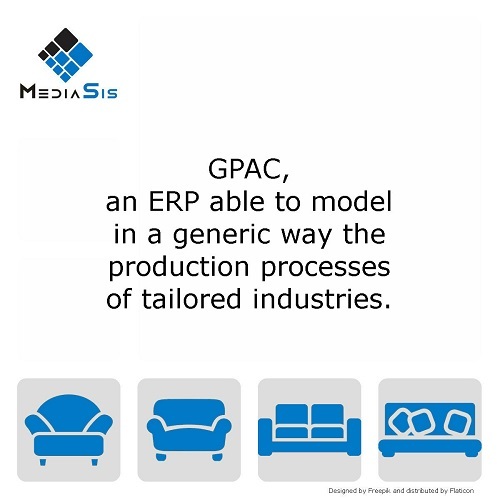 MediaSis has extensive experience in implementing the GPAC in industries that operate in the under mesure segment. Through our experience, as well as the reports of customers and partners, we can affirm that when shifting the focus to the management of the processes, the GPAC, in addition to providing greater control, also generates time savings, because the wear and tear of concern with the infinity of different products, will be replaced by the practicality of attribute management for processes that are normally repeated and, therefore, already modeled. Different final products, but that passed through the same productive processes, but with configurable attributes. With a redefinition of productive processes through the GPAC, is possible to normalize the tasks to be developed, making single projects managed as standard.